Like many women, do you find yourself dreading ‘that time of the month’? Do the highs and lows of premenstrual syndrome (PMS), pelvic pain or heavy flow hamper normal functioning around the time of your period? Did you know that these symptoms (amongst others including hard-to-shift weight gain) may be related to imbalances in hormones such as oestrogen. This blog explores the important topic of oestrogen as this hormone can be amazingly beautiful in our bodies, but when out of balance, it may also turn ugly. Oestrogen is predominately thought of as a female hormone; but just as women have small amounts of the male hormone, testosterone – men also need some oestrogen (albeit at lower levels) for optimal health. Oestrogen wears many hats, and they’re not all related to reproduction! It also supports brain health. For example, it has been linked to slowing down the ravages of ageing and is protective against many neurological conditions such as Alzheimer’s disease, schizophrenia and depression.1 Oestrogen is also considered the beauty hormone; she plays a role in collagen production and moisture retention for supple skin,2 helping you looking more youthful! She is part of the reason why women retain hair on their heads, but have thinner hair elsewhere on the body. Oestrogen will also help bones remain strong by preventing calcium loss, and even supports healthy cholesterol metabolism (see Figure 1). Figure 1: The Many Effects of Oestrogen. All that said, oestrogen’s primary function is as a reproductive hormone. Levels begins to increase in young girls in puberty, around the time their periods begin. 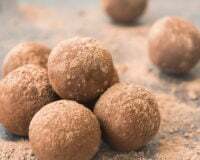 It is produced mainly by the ovaries, and will go on to shape and grow the breasts, the uterus and it’s lining (known as the endometrium) – essentially preparing the female body for reproduction. Interestingly, males also rely on oestrogen for the all-important task of creating healthy sperm! 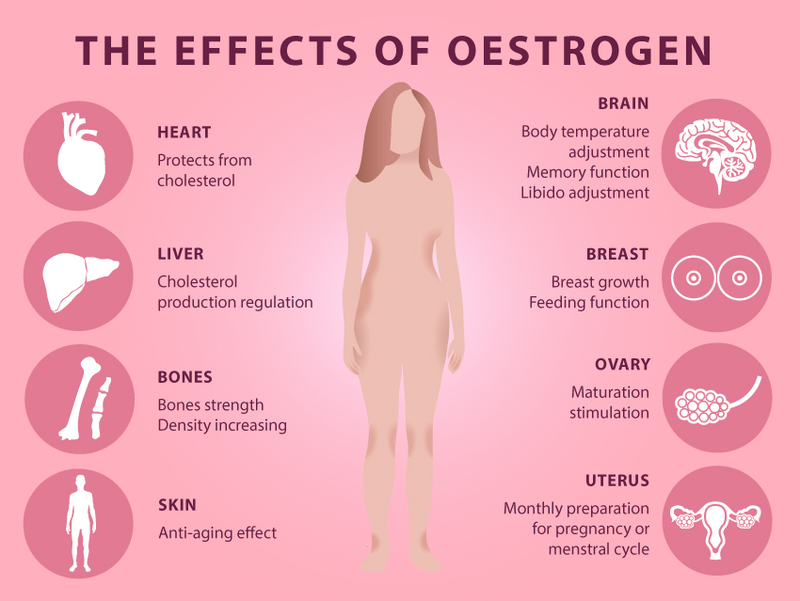 I know I mentioned earlier that oestrogen is produced primarily by the ovaries but this sneaky hormone can also be synthesised in other tissues in the body including the breast, the brain and even in body fat! Known as the science of intracrinology, the study of hormone levels in different tissues can give some fascinating insights into the activity of oestrogen throughout the body. 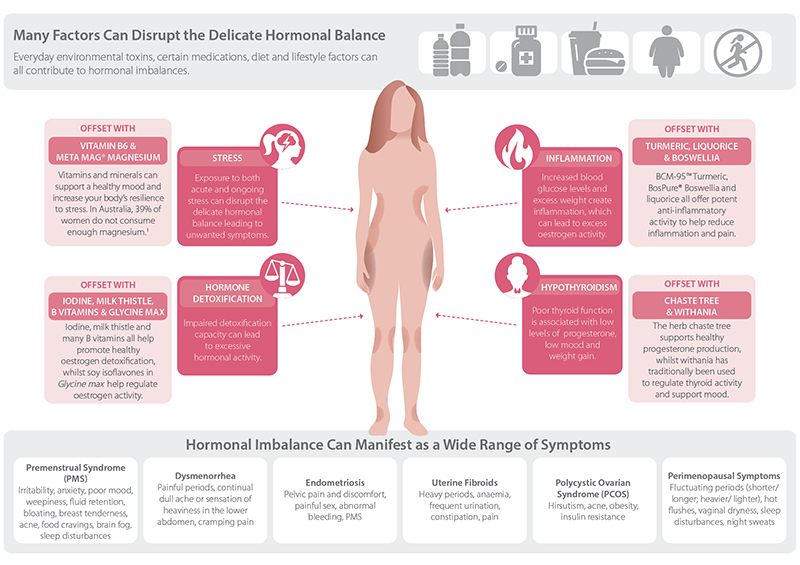 As shown in Figure 2 below, many factors (such as increased production in various tissues and impaired detoxification) can disrupt the delicate balance of hormones and in some cases lead to having too much. Figure 2: Many Factors Can Disrupt Hormonal Balance, But There Are Things You Can do to Correct This. To give another example – if a woman is overweight, the extra fatty tissue can hold more oestrogen in the body, which can potentially lead to oestrogen excess and a worsening of hormonal symptoms. Learn about more ways hormones can become disrupted here. Further, living in the modern world brings a constant exposure to environmental toxins such as plastics and other chemicals; those that have hormonal effects are known as endocrine disrupting chemicals (EDCs). EDCs such as bisphenol A (BPA) found in the lining of tins can actually increase oestrogen and change the way it works in the body. Read more about this here. If your pain, PMS or hormonal symptoms may be caused by too much oestrogen, then it’s time to take back control. There are many positive steps you can take towards rebalancing your hormones. Many herbs and nutrients can be extremely beneficial in reigning in out-of-control hormones. 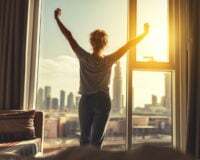 Isoflavones from soy are used to support women’s healthy oestrogen levels by modulating oestrogen receptors (the binding sites on the cells).7 This means that soy can effectively instruct cells to promote the healthy actions of oestrogen and turn down the dial down on the more negative impacts. Read more about soy in this article. Other natural medicines such as magnesium, broccoli, rosemary, and BCM-95™ Turmeric all have positive effects on supporting healthy oestrogen metabolism, helping to restore a state of balance. 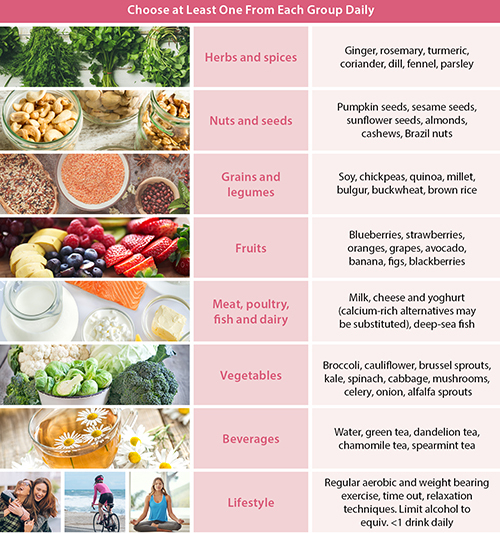 There are also some simple strategies you can adopt on a daily basis to place you on the path of healthy oestrogen balance. Follow the healthy hormone dietary and lifestyle tips in Figure 3 below. Other suggestions include not microwaving food in plastic containers, and swapping your plastic drinking bottles for glass or stainless steel – this can help reduce the impact of EDCs exposure. For more simple tips to detox your environment check out this blog. Figure 3: Healthy Hormone Diet and Lifestyle Tips. By gradually changing your habits you can reduce exposure to harmful EDCs, improve your oestrogen metabolism, and maintain the beneficial effects that the beautiful hormone called oestrogen may bring. If you would like more support in improving hormonal harmony and freeing yourself from the symptoms of oestrogen imbalance, speak to your local natural healthcare Practitioner today. 1. Cutter WJ, Norbury R, Murphy DGM. Oestrogen, brain function, and neuropsychiatric disorders. J Neurol Neurosurg Psychiatry.2003 Jul;74(7):837-840. 3. Greenspan FS, Gardner DG. Basic and clinical endocrinology. 6th ed. Sydney, Australia: Lange Medical Books/McGraw-Hill; 2001. p. 575-602. 5. Bulun SE, Lin Z, Imir G, Amin S, Demura M, Yilmaz B, et al. Regulation of aromatase expression in estrogen-responsive breast and uterine disease: from bench to treatment. Pharmacol Rev. 2005 Sep;57(3):359-83. doi: 10.1124/pr.57.3.6. 6. Chetrite GS, Cortes-Prieto J, Philippe JC, Wright F, Pasqualini JR. Comparison of estrogen concentrations, estrone sulfatase and aromatase activities in normal, and in cancerous, human breast tissues. J Steroid Biochem Mol Biol. 2000 Jan-Feb;72(1-2):23-7. PMID: 10731634. 7. Kuiper GG, Lemmen JG, Carlsson B, Corton JC, Safe SH, van der Saag PT, et al. Interaction of estrogenic chemicals and phytoestrogens with estrogen receptor beta. Endocrinology. 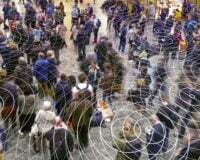 1998 Oct;139(10):4252-4263. Talia is a qualified Naturopath with over 10 years of natural health experience in clinical, retail and mentoring roles. Talia is passionate about educating people on diet and lifestyle medicine and has a keen interest in incorporating traditional naturopathic principles into modern evidence based medicine.